Made fresh for your little ones from India. We make small batches each day so you can feed super fresh food to your babies always. Because children need 'Fresh' & 'Pure' foods for maximum nutrition absorption. 40% Less sugar content compared to commercial available Health Drinks. 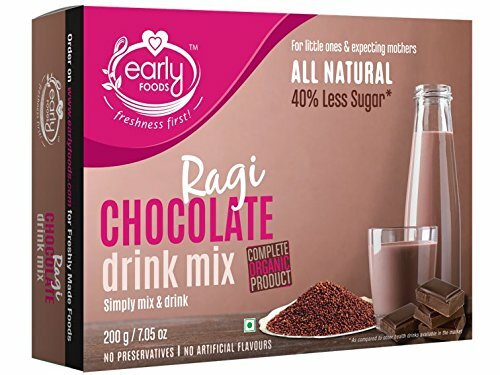 Use for making a chocolate drink, choco fruit smoothies or as a sweetener for porridges, desserts, parathas, cakes & cookie dough etc. If you have any questions about this product by Early Foods, contact us by completing and submitting the form below. If you are looking for a specif part number, please include it with your message.